Not a lot of people look back on licensed properties with much love. Unless – and this is a big UNLESS…you were published by Capcom. You see, back in the late 80’s and early 90’s, the big C partnered up with Disney to create a handful of games featuring characters from “The Disney Afternoon” television block. You know, the cartoons that reinvented the likes of Chip ‘n Dale, Scrooge, and so on. With little fanfare and a good deal of appreciation, we now have our very own collection of ports for these titles, dubbed The Disney Afternoon Collection. Is that special something still there, or have the brand labels faded from the gems of yesterday? Let’s find out. I would normally tackle this section by speaking about each title’s little story that was packed in, but due to there being six different games, I feel that it is rather unnecessary to detail each one. The best synopsis to provide for those who don’t remember is that each one of these titles features a story that plays out like an episode its TV counterpart. Aside from Talespin, that is. I don’t know what happened there. Each game within the collection is exactly as it was in terms of almost everything compared to its original version. That means all of them play the same, and that makes this compilation one of both highs and lows. The big noticeable pop with this release is Duck Tales. The mechanics have not been hurt by father time, as Scrooge’s cane demands perfect precision, leaving to a very satisfying experience for those who like a bit of depth found in surface level simplicity. 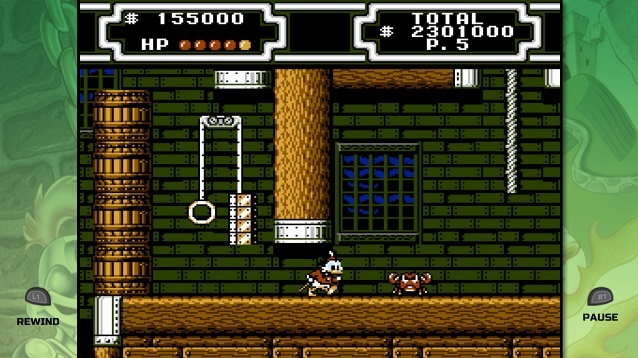 A lot of these titles offer minor touches from other Capcom franchises, such as the non-linear aspect of level selection found within Duck Tales. Sure, back in time we were used to being pushed in one direction, but it was nice to see a deviation from that during the NES era, and Duck Tales nailed that delivery without screwing up the pacing. There is a reason that Scrooge was the first to land a remake, and going back I can say that while the revision was worth its coin, the original still holds something truly special. Chip ‘n Dale: Rescue Rangers and its sequel are rather close in terms of just about everything, including quality. Instead of a cane bounce, the main gimmick at work here is the ability to pick up and throw almost everything in your path. It sound cheeky and bland, but the execution it on point and the follow-up is even better in almost every single way, leaving for two excellent titles as a whole. 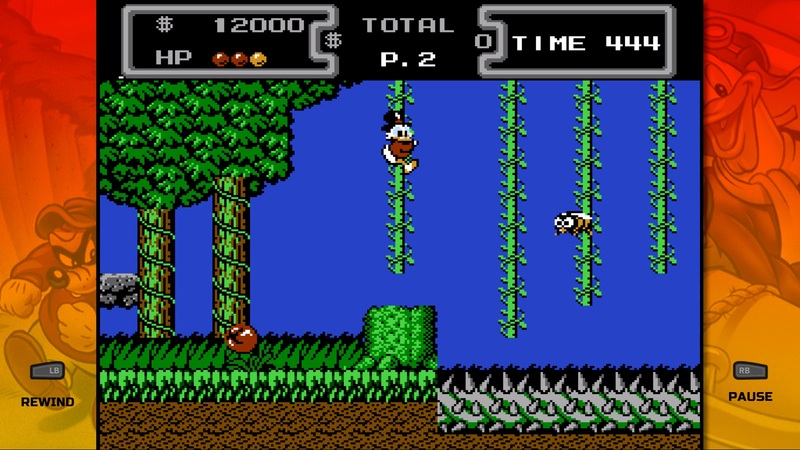 Duck Tales 2 is good I suppose, as it literally doesn’t change a lot aside from toning down the whole money collecting aspect, but still is in the large shadow of its predecessor – as it almost feels like this game was constructed from leftover parts. 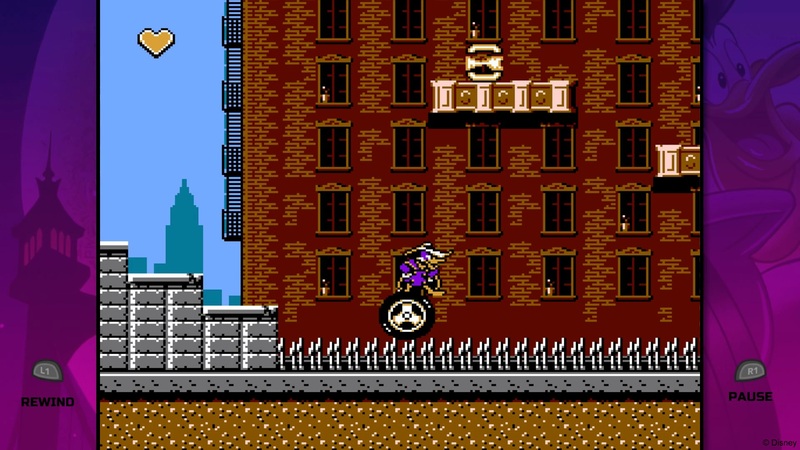 Darkwing Duck, well – think Mega Man. I never played this title as a kid as I didn’t like the cartoon too much. I appreciate it now just fine, and probably spent most of my time thus far with this little platformer. Players use a gas gun with three abilities to progress onward. It’s a simple premise, but definitely the game with the most depth on the disc. 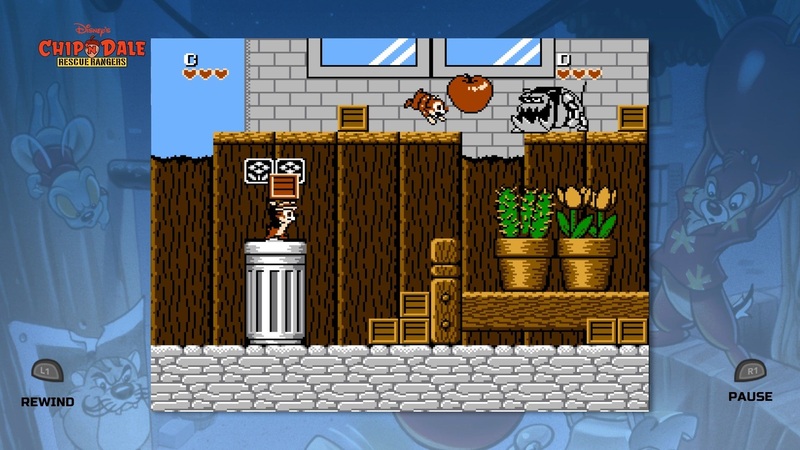 Finally, we have Talespin – which follows Baloo as he flies his up-gradable plane in a side-scrolling setting. I dislike this title. It isn’t poorly made, it’s just overly difficult and definitely not for everyone. This compilation does not end whatsoever with just the games, however. Be prepared to be spoiled as a rewind feature has been added, allowing players to rewind from their mistake and save face. 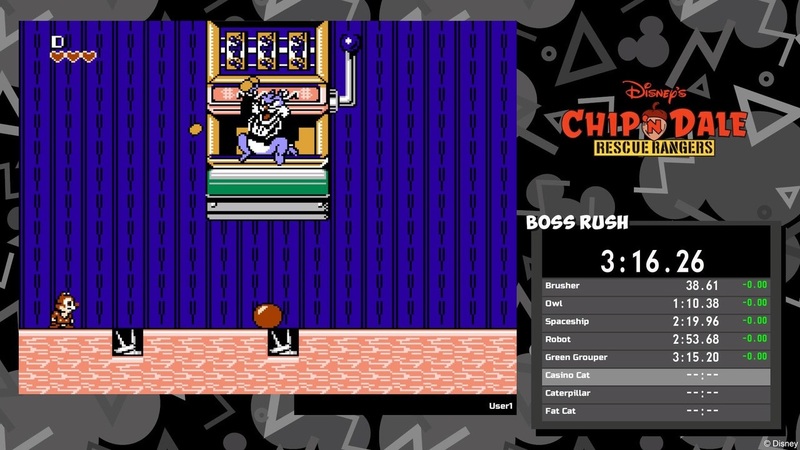 A boss rush mode and a time attack mode can be found to add a bit of new incentive to play the lot, and those who love content through galleries, soundtracks, and so on will be excited to know that this collection is overflowing. 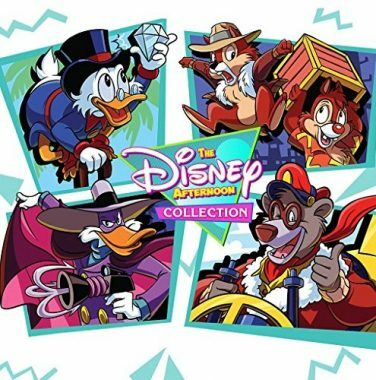 We haven’t had a ton of true retro collections this generation, but if there are more to come to big platforms – The Disney Afternoon Collection absolutely sets the standard through its brimming amount of celebration for all properties involved. These titles are literally raw ports, so there isn’t a lot to say other than they made the transition to HD nicely, and still look clean. Most of the collection was published while the NES was on the way out, so part of what makes the games within so celebrated is that for the time, there were no other games on the market so detailed or animated on the 8-bit platform. Even Talespin is full of color and vigor, and every character has some great detail, featuring designs that are true to their animated versions. While the graphics are fine, the music is bar none the reason why we keep going back to look at all six of these games as a pack – causing just enough interest for this release to get the greenlight over 25 years later. Duck Tales of course has some of the most memorable tunes, but Chip ‘N Dale and Darkwing Duck are certainly no slouches either, as each theme brings tunes to your ears that can be embedded for hours on end, each coming across as catchy and calming. I mean, the theme songs alone being converted over is reason enough to talk about the melodies within, as this was a period where sitcoms, cartoons, and so on were getting theme songs produced that could have easily bled into the radio market. The music is simply fantastic and the ability to go back in and just peel apart the soundtracks for another listen pays for the price of the whole package alone. The Disney Afternoon Collection features six special releases that are important to the industry in many different ways. Some say they set the standard for licensed releases, while I personally think they just show what developers can do if they are not pressed for time due to a harsh deadline. Either way, this bundle is a no-brainer for anyone who has a platform to play it on, as it offers a fun, light-hearted history lesson in the form of a 6-pack that truly delivers something for everyone.